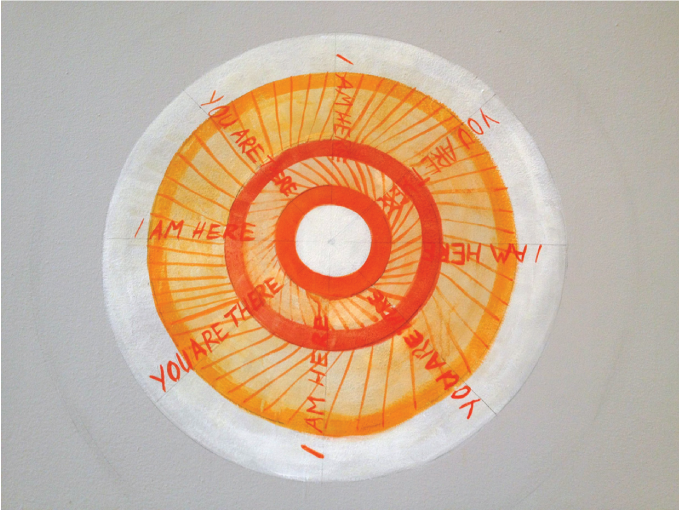 As interdisciplinary as Deborah’s practice is, she ultimately identifies most as a painter. Over her expansive career, the decision to embrace abstraction rather than resist it has benefited her work enormously. The light and airy quality of her paintings, especially the studies of her studio space that she makes regularly in an almost pious procedure, holds an ethereal nature that transforms them into an otherworldly space. 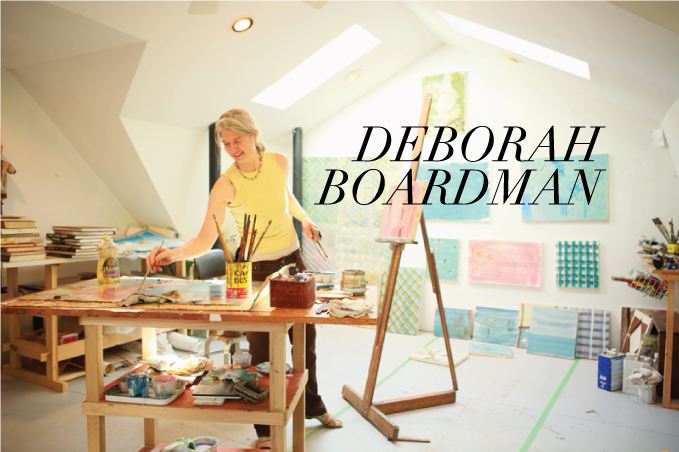 Deeply absorbed in history and spirituality, and her relationship to the two, Deborah’s paintings and other artistic endeavors are an extension of the spirit and the desire to connect it with greater forces in the world. Deborah Boardman is an Adjunct Associate Professor at the School of the Art Institute of Chicago and founding member of the International Network for Urban Agriculture (INUAg). She is a recipient of recent grants from the Illinois Arts Council, Indiana Humanities Council, an EAGER grant from SAIC and a Propeller grant with the Rhizome Alliance (Rodger Cooley, Eric May, Kevin Kaempf and Akshay Raj Singh Rathore). Her work is in the public collection of the Chicago Cultural Center, and her artist books are in collections of the Bibliothecha Alexandrina, Egypt, Newberry Library’s Wing Collection and at Harvard University’s Houghton Library, MoMA Queens and Brooklyn Museum of Art, among others. A: I came to Chicago in 1987 when my husband enrolled at Northwestern University Law School and almost immediately began teaching Painting at the University of Iowa. Between 1990 and 1993 I developed a series of installations such as, When Ready, Bear Fruit, at the Hermit Foundation’s 1993 Growthrings International Art Symposium in Plasy, Czech Republic. The symposium, which took place in a former monastery, gave me the opportunity of exploring my work in a space once designated as sacred, and to make work that emphasized a natural affinity between nature and spirituality. The site-specific installation I created in the monastery granary, based on a baroque cathedral floor plan, included sculptural objects and my first fresco painting. That work led to numerous other projects that focus on the history and architecture of the site and what holds meaning for us. A: Of the many things that inspire me, a stand out includes a Speaking of Faith podcast featuring Xavier Le Pichon, a leading geophysicist and compelling spiritual thinker. In the podcast, Le Pichon discusses the meaning of what we call “humanity” through his discoveries in plate tectonics. Le Pichon describes the earth’s fault lines as a fundamental aspect of the earth as a living, changing organism. Likewise, in humans, it is through our weaknesses that we connect with each other and create community. Over the last decade I have been using water divination as a methodology to create a visual dialogue about the natural environment. My interest in sacred spaces dates back to childhood visits to Roman Churches in France. Formal investigations of sacred architecture began in 2005 when I learned that the construction of Roman churches took into account underground water currents based on the belief that specific configurations could intensify a spiritual experience. Attention to underground circulatory systems is a means of interpreting and attuning to natural phenomena that can help determine what is advantageous architecturally, and what can promote life-affirming ventures like art and sustainable agriculture. Q: What piece have you been the most proud of and why? A: It’s difficult to choose which work I am most proud of, as each project carries its failures and triumphs. 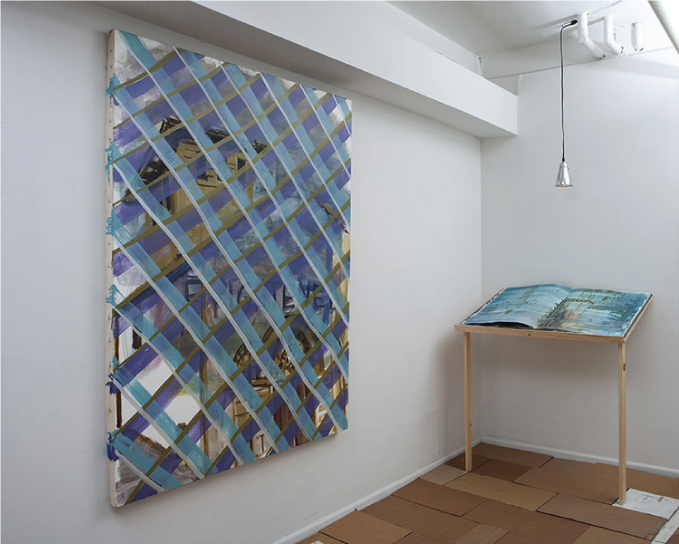 That said, the patterned wallpaper I painted for my 2011 exhibition, Steady as She Goes at EBERSMOORE Chicago and my 2012 project Seven Currents at 6018NORTH were particularly satisfying. I will also be working on a large scale dowsing project in Varanasi, India in collaboration with an expert in sacred architecture, Professor Rana P.B. Singh of Banaras Hindu University for an upcoming exhibition at Kriti Gallery, Varanasi.